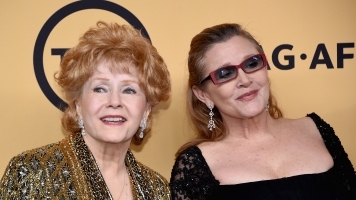 The 84-year-old acting icon died Dec. 28, a day after her daughter, Carrie Fisher. Actress Debbie Reynolds was far from normal. Related Story After Debbie Reynolds' Death, Some Ask: Can You Die Of A Broken Heart? It was full of good mornings, hilarious evenings and timeless classics. She died a day after her daughter, Carrie Fisher. Fans loved Reynolds for her ability to find humor in any situation. She's an icon who embodied the idea that anything can be achieved. Debbie Reynolds died at 84 years old.